Recently while flipping through my Flipboard app on my Samsung Galaxy 4 I became intrigued by obituaries of noted individuals. Many names I didn’t recognize, but one thing for sure each of them had made contributions in making the world better. 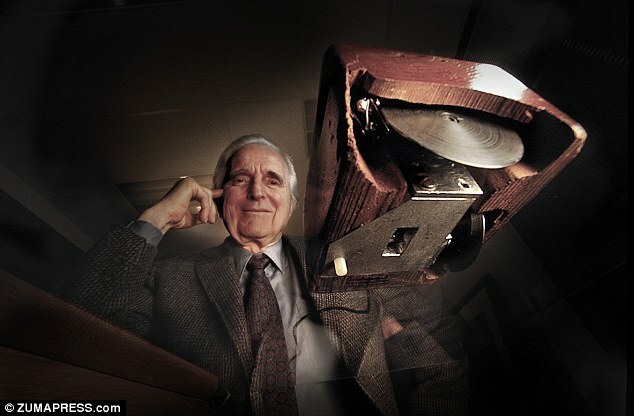 Bill Gates and Steve Jobs are household names, but Douglas Carl Engelbart is not. Yet his efforts contributed to Gates’ and Jobs’ success with the advent of the computer mouse that is used every day in homes and offices around the world. We interchangeably call it the Microsoft mouse or the Mac mouse, never giving much thought to who created it. The mouse has become a welcomed member of our households, and for me as so many others, I can’t live without it. We search, write and design with it. Engelbart’s contribution to humankind forever changed how we live, work, worship and play. The mouse is a small thing. Every idea starts small and gains momentum. At first it is conceived in the mind, good or bad, and then manifested into reality. No doubt Engelbart may not have been the only one given this vision, but one thing for certain he was the one who embraced it and would not give up until it was invented. Passion drove Engelbart to walk away from a steady job because he wanted to make the world a better place through computers. What are you holding on to that prevents you from living your passion and realizing your dreams? Inherent in your ability to surrender the familiar for the unfamiliar is your true destiny and purpose for being. Many are afraid to walk away from perceived security and venture into the unknown abyss of following your dreams. Faith frightens us. We talk about it and exclaim we walk in it, but it is hard to truly exercise it. I relate it to my not having glasses or contacts on at night. I can see the lights but I can’t make out any shapes because each light bursts out like fireworks—wow my very own fireworks. Okay, let me move on. If I am riding with someone else, I am reassured that as long as I keep moving forward I will reach my destination. So it is when we have faith in stepping out and living our passions. God desires to give each of us witty inventions to make a difference. You cannot hold back because you don’t know whether or not the vision God has given you will make a worldwide difference or not, but for sure if you do nothing it will not. It is not about notoriety, fame or fortune, but it is about fulfilling the mandate on your life and everything else follows. Yes, these witty inventions, or your intellectual property, are seeds that enable you to make money and generate wealth. When Engelbart invented the mouse he only glimpsed the magnitude the computer mouse would have on our lives, but that didn’t stop him. He was not even driven by fame or fortune and it didn’t stop him from pursuing and living his passion in making the world better through computers. Because of it, it caused us to open our doors and welcome the mouse into our lives. Make a difference! Pursue your passion! I want to coach you in making a difference and pursuing your passion. Contact me for a complimentary coaching session @ The ME Place. 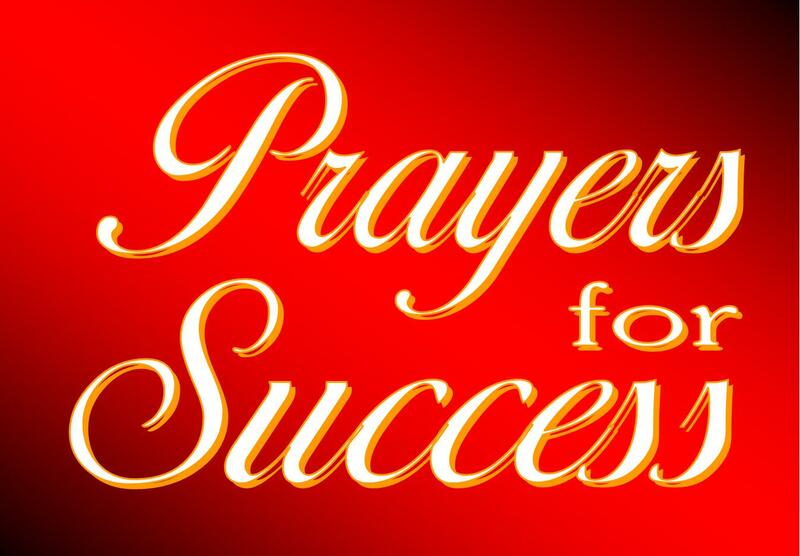 Father, You have blessed me with witty inventions to make this world a better place to live, work, worship and play. I will not be afraid to pursue the passions You have placed inside of me because I know that these witty inventions are more for others than they are for me. Amen. Father, I find myself searching and not finding the love I desperately seek. As I move beyond the temporal love of this world, I embrace the eternal love only You can provide. It is in this embrace I feel the tenderness of Your breath on my face exemplifying the intimate love I have yearned for all my life. It is unbelievable that it has always been there just waiting for me to embrace. You and I share a love affair totally beyond compare. I simply love and adore You. Amen. Father, I know I am responsible for everything I say. Give me the ability to refrain from saying idle words that can cause life-long debilitating effects for others and me. I will proclaim words of life and not death. This is especially true of the words I speak over and about children. My goal is to be a touchstone in others lives so they can become all You envisioned. As a beacon of light, allow my words to illuminate the light of Christ. Every word I speak will be in alignment with the life I profess to walk in Christ Jesus. Amen. Father, the cares of this world sometimes overwhelm me and I get off course from what you would have for me. There are times I place more importance on the concerns of men and their instructions more than I do Yours. Oh, please help me to place my confidence in only You. You are the only one who has my destiny in Your hands. More than anyone else, Your plans for me gives me an expected end for a bright future with great success. Amen. Father, Thank You for radical faith that overcomes the impossible because I know with You all things are possible. It has nothing to do with common sense, but it is conquering the senseless things that propel me into the realm of impossibility. Regardless of how lofty the concept may be, I know I am well able to conquer it through You who loves me. Amen. Father, Sometimes I lose sight of my way and I’m afraid. Although You have provided unlimited resources, there are times I am just too afraid to use them. These fear-based tendencies prevent me from moving forward. Teach me how to seek Your guidance and allow the Holy Spirit to lead and guide me. I will never forget how You masterfully placed a personal GPS (God-Powered System) inside of me that leads and guides me down a path to unlimited possibilities and unparalleled success. Amen. What do you mean by hashtag? My friend’s 89-year old mother asked. She was amazed that her mother even knew about it. Her mother doesn’t use computers so it is evident that she doesn’t have access to the Internet. This mature woman has heard about the hashtag enough to know that is something to it and she wanted to know why. I think about the evolution of the symbol we now refer to as “hashtag”. 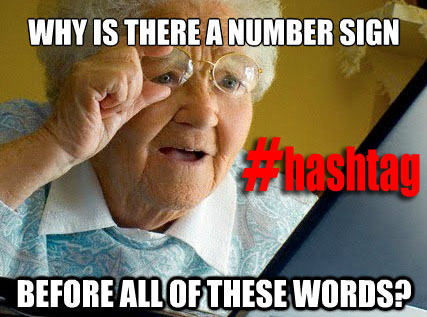 I can remember once it represented the number sign, the pound sign and now it has morphed into a hashtag that piqued an 89-year old woman’s curiosity. In essence, the hashtag is used on social media platforms, most notably twitter or instagram, to group subject matter in order to be easily searched, discovered and to follow the comments associated with it. I’m pretty sure my friend did not go into this much detail with her mother. I can’t help but think about that symbol, depending on its usage, it has a different name. On the telephone it is not called a hashtag but the pound key. You know what I mean when you call into a number and you are asked to enter a series of numbers followed by the “pound key” to close off the number series. If it precedes a number (#1) we automatically know that means “number 1”. It also is labeled as the “sharp” musical note. When used in conjunction with social media it is a “hashtag”. When it stands alone and you ask what is it called I’m sure you will get at least three different answers. All are correct, but it changes its meaning and purpose depending on its usage and its audience. We’re like that symbol. There are various dimensions to us that at times we have to even ask ourselves, “Who am I?” Our identity is somehow lost in the various definitions that have been given us by various people associated with the various arenas in which we live, work, play and worship. We have a different purpose depending on where we are and with whom we are interacting. Our purpose is different when we’re home, from when we’re at work and even when we worship. The interesting aspect is that just like that symbol the illustration of how it appears never changes. It is written the same way regardless of its purpose. There is an inherent quality that does not change. If someone were to use a different symbol and call it the number, pound, hashtag or sharp sign we would be in direct disagreement. The nature of the symbol defines its purpose. The inherent nature in each of us defines our purpose. Ultimately when we seek to find what is our true purpose we have to determine what we were created to do in this life. Although our physical makeup does not change as with the symbol, the various entities of our lives dictate metamorphosing into the purpose for that respect place and people. We are inflexible in our physical nature but exercise flexibility in our purpose. We cannot allow ourselves to be regulated to doing only one thing. God created us to do myriad of things. It is in our flexibility where we continue to grow and expand our minds to new things just like my friend’s 89-year old mother. When we do, we are not regulated to a job or a position because we are flexible enough to accommodate the many purposes for which we were created. Be flexible in your purpose. I want to coach you to embrace the essence of who you are in succeeding at work, home and worship. Contact me for a complimentary coaching session @ The ME Place. Father, You have created me to do so many things and to help others. Each day I embrace them with passion and fervency as I provide solutions to the people you’ve assigned me. Although I may serve a different purpose for each one, my ultimate purpose never changes and that is to do Your will. Amen.